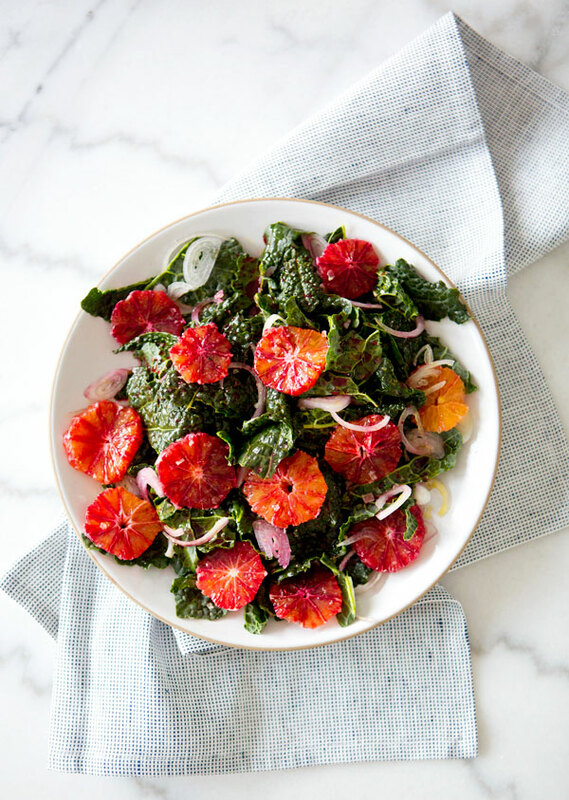 – Drizzle with olive oil, squeeze the juice from the remaining blood orange over the salad and generously sprinkle finishing salt over the top. Serve immediately! 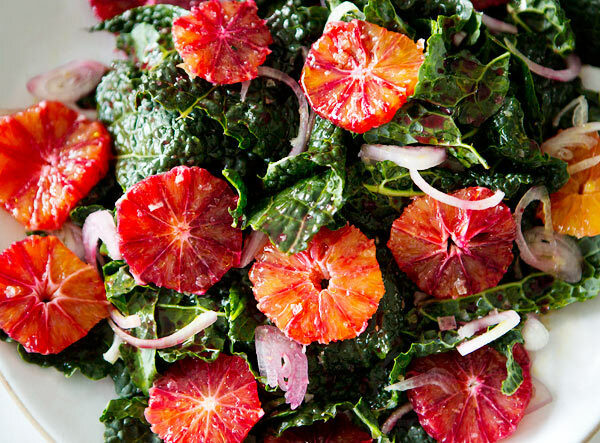 I have a new found love for kale and this looks delicious! This looks wonderful! Gorgeous photographs, as always! I just featured your Birds of a Feather dinner party post on my own blog, at http://www.thisisitthough.com. Thanks for sharing this recipe. This looks stellar, Sarah! 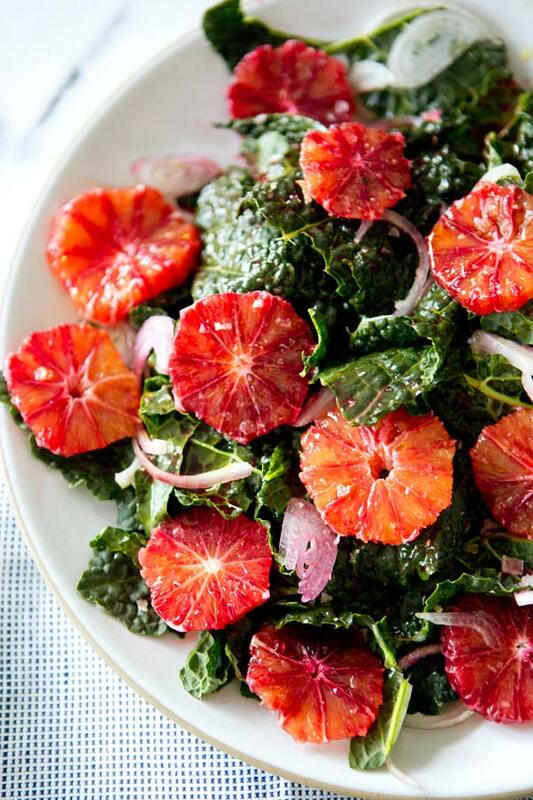 Blood oranges are one of the prettiest things on earth. Happy New Year to you! oh man, the colors in this are gorgeous — i can only imagine how wonderful the taste would be, too! guess i'll have to find out. Blood oranges are so yummy. And wow do they make for a lovely photo. So fun to eat pretty food! I'll try it as soon as possible. Look forward to enjoy this salad. Thank's for sharing. I am beyond excited that it is blood orange season!! What a perfect little bit of brightness to add to your salad!! 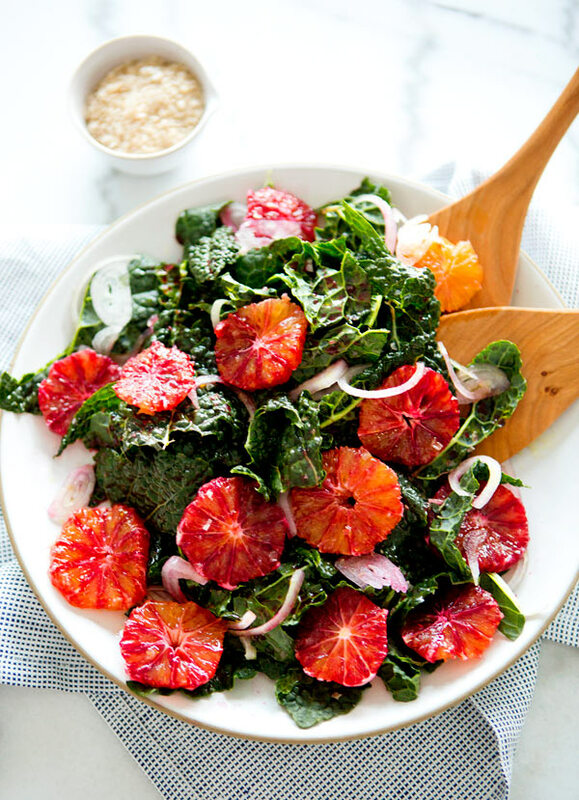 Thanks for such a simple recipe…I can't wait to pick up some blood oranges at the grocery store this week! this is just gorgeous! I love how you sliced the oranges into rounds. I am horrible at my attempts to segment them & this looks much prettier anyway! Gorgeous! I have never had a blood orange before! YUM! I just bought some blood oranges today. I am going to share this beautiful recipe on my FB page ASAP! Thanks so much. Can't wait to try it. I have a huge bag of kale in my fridge which needs immediate attention and I couldn't think of anything other than green smoothies. so thanks for the inspiration. looks tasty! am amazed by its capabilities and the end results of my dishes. One question that is asked frequently is “What is the best way to wean my puppy onto BARF raw dog food. Such a great recipe…just included this in my “Oh My…Salad!” post. What other lettuce choice would you choose besides kale? powerful chewers. actually they’re very recent and return to history. and arousing curiosity for further development of their mind. Plastic battery-operated toys are a double-edged sword of polluting toxins because batteries cannot be recycled. Imagine the price it would have fetched if it was from the 1963 series of Doctor Who. to get them the hottest toys for this Xmas. Kids are smart and we should never underestimate that. several children over the years are wood. Unfortunately this cultivar is not complete with a scent, but they are good for cutting to take into the house and do last well in water. The oil, lotion or cream provides additional benefits as well as locks in the moisture.